(Natural News) Obesity is on the rise in America. According to recent reports, approximately 40% of US women are obese and American teenagers continue to cake on extra pounds. The two reports from the Centers for Disease Control and Prevention illustrate that attempts to motivate Americans to lose weight are not having their intended effect. On the whole, the two reports found approximately 38% of US adults and 17% of teenagers are obese. Obesity is defined as having a body mass index (BMI), a value derived from the mass and height of an individual, that is more than 30. 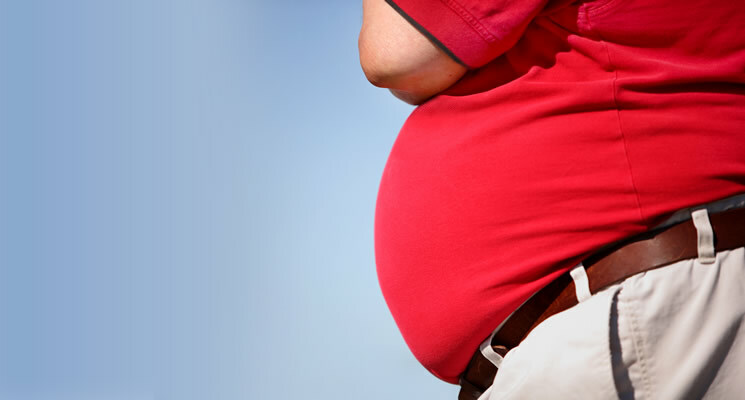 In addition to being obese, around one-third of Americans are overweight. People are regarded as overweight if they have a BMI of 25 and obese if it reaches 30. Obesity is linked to a host of health problems, including cardiovascular disease, diabetes, Alzheimer’s and even certain cancers. Researchers at CDC’s National Center for Health Statistics reviewed a national survey consisting of more than 5,400 adults during the first study. “The age-adjusted prevalence of obesity in 2013-2014 was 35 percent among men and 40.4 percent among women,” the researchers noted in their report, published in the Journal of the American Medical Association. “More than five percent of men and almost 10 percent of women were morbidly obese by having a BMI of 40 or more. The team emphasized they only measured BMI and not body fat. Regardless, the majority of obese Americans have too much fat. The researchers found men who smoked were thinner. “For women, there were no significant differences by smoking status, but those with education beyond high school were significantly less likely to be obese,” they wrote. The other study discovered approximately 17% of children and teenagers were obese and 5.8% extremely obese. Obesity is measured differently for children. It is based upon how heavy a child is in comparison to other kids the same age and height. Individuals are deemed obese if they weigh more than 95% of the children or teens the same age. Obesity has slightly decreased among younger children but is still on the rise among teenagers, according to the researchers. It is not understood why obesity continues to swell, in spite of multiple studies attempting to pinpoint the root of the problem. “Numerous foundations, industries, professional societies, and governmental agencies have provided hundreds of millions of dollars in funding to support basic science research in obesity, clinical trials and observational studies, development of new drugs and devices, and hospital and community programs to help stem the tide of the obesity epidemic, wrote the journal’s editors, Dr. Jody Zylke and Dr. Howard Bauchner.